Ultrafiltration is a membrane filtration process using pressure to separate particulate matter from soluble components in feed water. Membranes act as semi-permeable barriers that allow particles to be captured or pass through, based on the pore size. Suspended solids and dissolved substances of high molecular weight in feed water are retained by the membrane, while water and low molecular weight substances pass through the membrane as product water. 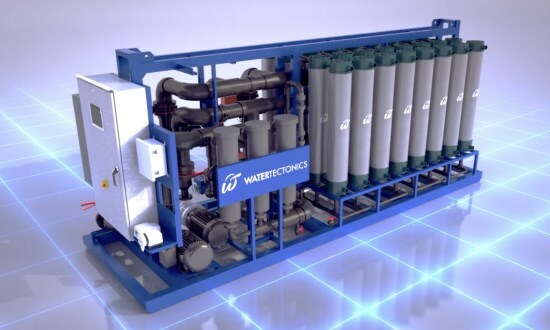 Uses advanced ultrafiltration technology to remove up to 99% of suspended solids & other contaminants. System consists of: guard strainers, ultrafiltration membranes, programmable logic controller, automated valves, integrated pumps, air blower & backflush pump. Ultrafiltration membranes can filter out contaminants ranging from 10 down to 0.04 microns in size. Watch the video to learn more about how the UltraFlo advanced ultrafiltration system works.